Earth Day is only 1 week away! The Earth, more than 4.5 billion years old, has supported 8 million species with many more to be discovered. The magnificent Mother Earth has cultivated incredible biomes and environments with beautiful sceneries that have lasted billions of years. 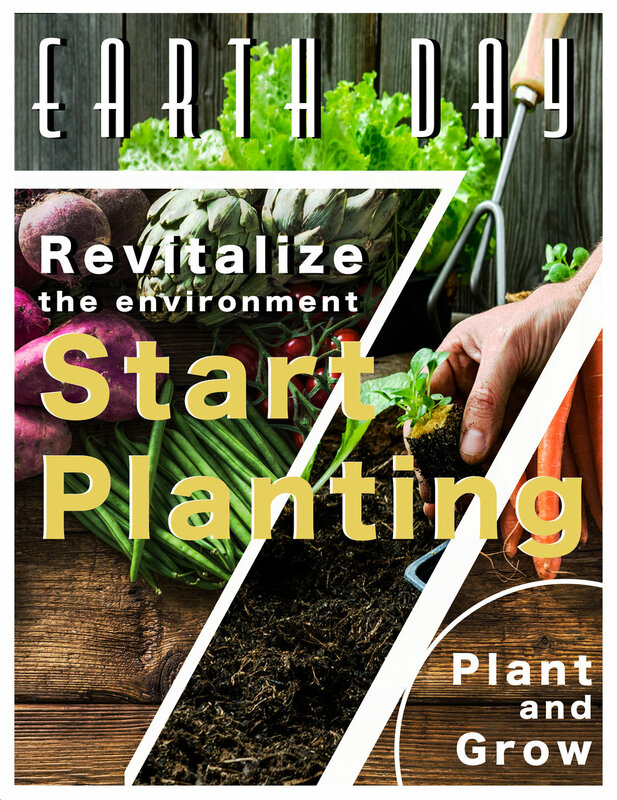 Lets help Mother Earth continue to live in environmental prosperity by each doing our part to keep her healthy this Earth Day. One of the best ways to contribute back to nature is to start gardening! Its time to start increasing your green footprint right in your backyard. Simply planting vegetation or trees in your own backyard can have a tremendous positive effect on the local environment. Known to recycle the carbon dioxide in the air, plant can help increase your green footprint by produce cleaner more oxygen air while depleting carbon dioxide in the air. Your actions in unison with your fellow neighbors and New Yorkers will accumulate into a significant real world impact if everyone does their part! Planting in your garden is as easy as a 3 step process! All you have to do is dig, plant, and water! Its that simple. What are you waiting for, go help save the Earth today!